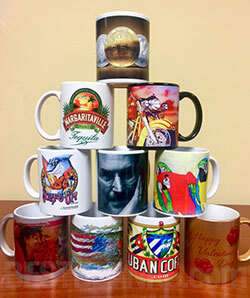 Get consistent printing results time after time with these sublimation mugs, steins, water bottles & More! 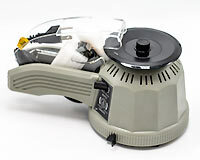 In order to achieve best results sublimation dwell times may need to be adjusted. & mug dimensions. 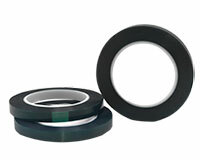 Testing of time, temperature & pressure is required. Premium Grade "A" Quality Coated Mugs. These 11oz mugs are the standard in the industry. 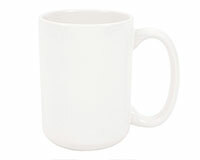 White mug with "C" handle. 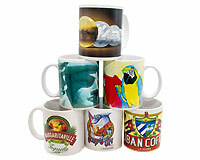 Premium Grade "A" Quality Coated Mugs. These 11oz mugs are the standard in the industry. Create something unique with these two tone mugs! Our 11 oz. 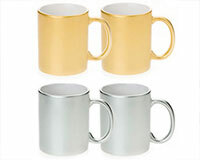 silver and gold metallic mugs add elegance to any promotion. 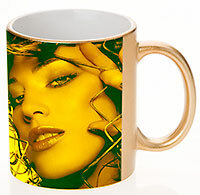 Your graphics take on a shimmering silver or gold metallic effect depending which mug you use. 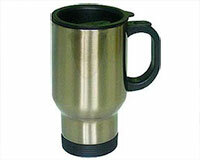 The mug handle has the silver or gold metallic finish that makes these mugs stand out! The interior is white. 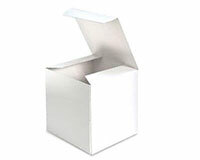 These are perfect for wedding gifts, housewarming parties, company events, product launches and more. 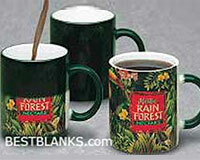 These mugs are sublimation ready. Important: Because these have a metallic coating they are NOT microwave safe. These Black 11oz mugs are the same quality as the mugs above. 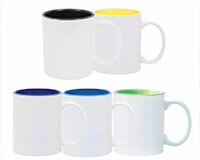 These Black Mugs have a white sublimation area to accept your sublimation print. These mugs look very sharp when printed. Make extra income with these mugs. They do cost a bit more but you can charge more. 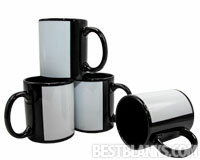 Your customers will love these black mugs when they see how good their image looks! Black color changing 11oz mug. 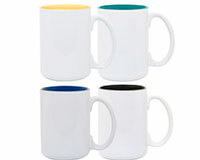 Color changing mugs are a real conversation piece! Premium Grade "A" Quality Coated Mugs. These 15oz mugs are the standard in the industry. 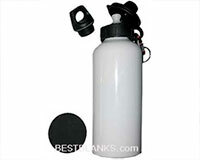 Great for coffee, tea or other items like candy. Customers love these extra large mugs! Premium Grade "A" Quality Coated Mugs. These 15oz mugs are the standard in the industry. Create something unique with these two tone mugs! 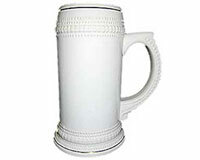 These Steins are a great gift item! PLEASE NOTE: YOU MUST HAVE A MUG PRESS THAT LOADS HORIZONTALLY IN ORDER TO PRINT ON THESE STEINS. These Steins look great when printed! 18 Per Case - Order by the case and save! 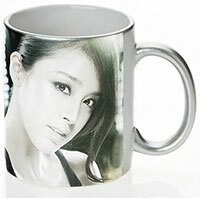 Min Qty only 6 mugs! These travel mugs look great when printed! 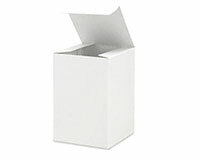 24 Per Case - Order by the case and save! 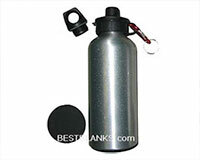 Imaging area: 9.25" X 6"
Sturdy aluminum cylinder with colorful carabiner snap-on clip! 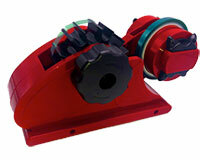 PLEASE NOTE: YOU MUST HAVE A MUG PRESS THAT LOADS HORIZONTALLY IN ORDER TO PRINT ON THESE. These water bottles look great when printed! 48 Per Case - Order by the case and save!